How do I get a job working for Apple? Having Apple on your CV is quite a coup, and it's no surprise that many people want to work for the world's best tech company. Apple is famous for being secretive, and its ability to maintain secrets extends to what it's like to work for Apple. However, as the company has expanded (it now has more than 100,000 employees) it's become easier to get a clear idea of what Apple is looking for. Jobs here typically include Marketing, Software Engineering, Finance or Sales. They are mostly based in London (at Apple's headquarters in Hanover Street). Although Apple also has Software and Hardware Engineering roles in Cambridge. Apple Store. 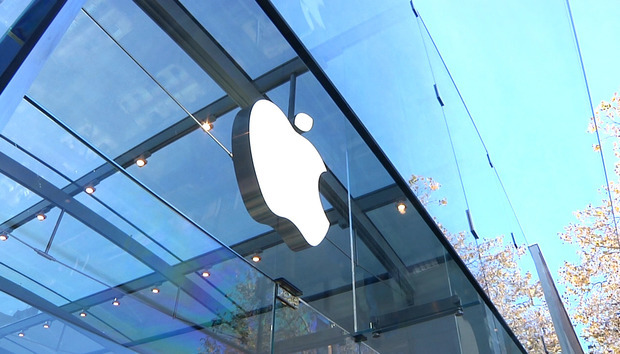 Various roles inside Apple's Retail stores are available. This is where we expect most people are looking. Roles typically are listed as Creative, Expert, Genius and Specialist (or Inventory Specialist). Many employees start as specialists before moving on to other roles (such as Creative or Genius). At Home Advisor. Work for Apple, from your own home. These are roles where you connect with customers and help them out. Dylan Adams was an Apple retail employee for three years. "My first experience of Apple was the iPod," says Dylan. "It was the single thing that first got me interested in technology. Since that day I have been focused on Apple products. When I bought a laptop it was a MacBook; when I bought a smartphone it was an iPhone; and when I bought a tablet it was an iPad. "It was inevitable I would apply for a job at Apple. Who wouldn't want to work with such amazing products?" Apple isn't interested in fakes. "The photos of happy smiling employees on Apple's career website are real," says Dylan. "They are not actors or models; they are genuine Apple employees. I have actually worked with some of these people on a day-to-day basis." What are the different jobs available at Apple? "Most Apple Retail employees are 'Specialists', your everyday grunts that deal with advising and selling to customers. 'Creatives' run workshops and one-on-one lessons on a range of topics, and usually have a specialty such as photography, video or audio. A 'Genius' works at the Genius Bar, but these are the ones fixing Macs. If you're only fixing iPhones and iPads you're still considered a Specialist, although you do get the spiffy title of 'Family Room Specialist'. "I'd suggest applying for a Specialist role," Dylan tells us. "Almost everyone starts here, and if you want to move to another section you just have to work towards it." Read: What's it really like working for Apple? It's important to believe in Apple, and in particular Apple's ability to help people. "The absolute key thing to focus on is how much you believe in Apple's ability to help people," says Dylan. "Your knowledge of products is important, but I've known people get hired who have never even used an Apple product." Assuming you're successful you'll receive a pack, outlining how awesome Apple is. You won't be surprised to learn that Apple is incredibly selective in its interviews. Typically you'll have at least two interviews, sometimes Apple interviews people four times. "My first interview was in the business suite of a swanky London hotel," says Dylan. When arrived you are put into a holding room with about other nervous-looking people. Dylan's first interview was a group experience, where he was interviewed with all the other applications. Five people conducted the first interview, and they greet applicants with applause. "The atmosphere is infectious," Dylan told us. You will be asked to introduce yourself, and it's best to have a good story about your life. In particular have interesting things to say about yourself, and what you do. "There are a huge variety of candidates; there are actors, programmers and salesmen," he tells us. Apple is not interested in typical sales-people. 'I see the interviewers grimace as one guy introduces himself as Peckham's top Carphone Warehouse salesman," says Dylan. Talk about how you love Apple products and see them as a way to better people's technological lives. "Try to be smiley and enthusiastic," Dylan advises. The main part of the interview will be roleplay. Each candidate must talk to a customer played by another candidate. "When it's my turn the role-playing customer asks for a top-spec MacBook Pro," says Dylan. "I ask what they're using it for and I'm told it's for word processing and internet browsing. I advise a more basic MacBook instead. That's it. Maybe two minutes and I'm done." "I didn't know it at the time but this is what Apple Retail want," Dylan tells us. "People that will find out what's best for the customer rather than just taking the fastest route to a sale and getting them out of the door." "If you want to work for Apple you have to focus on finding the right solution for the customer. Just be casual, relaxed and interesting enough to stand out and they'll snap you up in a second. "Before the second interview I'm asked to fill in a form explaining a little about myself and my likes and dislikes," says Dylan. "There are eight people and this time we're being interviewed by the two store leaders in a meeting room above the store. "We're asked competency-based questions. Name something you're proud of achieving. Tell us about a time you dealt with a difficult customer. What would you do if someone had a complaint? "The last question is something Apple seems to ask all the time. Can you tell us something interesting about yourself? You would be amazed how many people this stumps. I like to have a few interesting facts around that I use in situations where this comes up. "Finally we're asked if we have any questions," Dylan tells us. "A couple of the other candidates ask boring questions. I'm working on a photo a day project and ask if I can take a photo of the two store leaders. To my amazement they agree and pose a shot. "This actually seems to be the sort of thing they like, " advised Dylan. "Someone who's talkative and outgoing enough to take a risk, like taking a picture of their potential new Apple bosses for no particular reason. Thanks to websites like Glassdoor, it's become easier to find out information on what roles and pay are like in Apple. First of all, Apple gets a solid 4.0 rating on Glassdoor (out of 5). It's a respectable score, but by no means up there with the best. In general it's a great place to get training, and you do recieve a lot of benefits. "There are bonuses of £80-90 every other month," says a Creative. "Also we get given £2,000-3,000 GBP of Apple stock each year." You have to remember that it's just a job. "They make you think you've got an amazing career when really you're just a shop assistant," says the Specialist. "You get spoon fed a lot of corporate rubbish, and brainwashed." It's also hard work, with few breaks and many reports complain of the work-life balance. Almost every review on Glassdoor lists "working hours" or "work life balance" as a con for Apple.